Snow has fallen across the country this week, leaving thousands of rough sleepers exposed to freezing temperatures. The latest national figures showed that in the previous year nearly 600 homeless people died*. We must stop this tragedy. 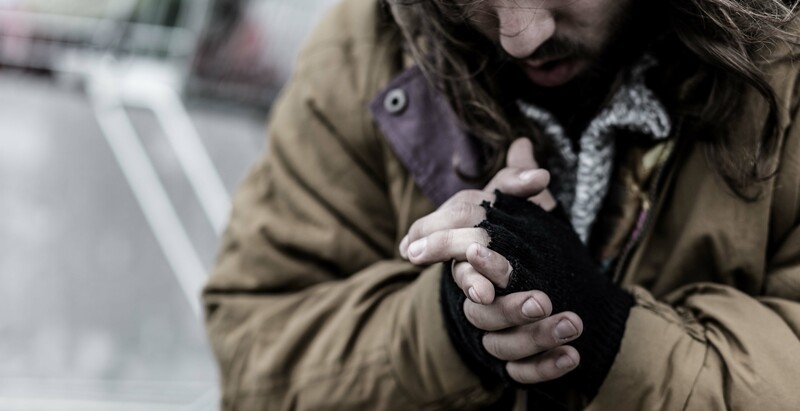 Alabaré’s winter emergency accommodation is available to rough sleepers in Wiltshire between November and March. Beds are available in Salisbury, Trowbridge and Chippenham and can be accessed via Wiltshire Council. One of the most important things you can do is simply stop and talk to someone. Rough sleeping is a lonely and scary experience – a friendly face can make a massive difference. Rough sleepers can get free, hot food, clothes and advice at Alabaré’s Drop in centre, in Salisbury. Any immediate danger call 999. Our priority is to make sure that our Drop In Centre is open and ready to help, not just now, but for the foreseeable future. We have a fantastic team in place - they will help rough sleepers to get a bed for the night, and start the process of finding permanent support and accommodation. A donation of £20 will make a huge difference as it could help provide an entire day’s food in the Drop In Centre.